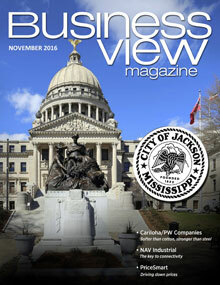 Business View Magazine profiles K-Co Enterprises, a general contractor and foundation and tower erector, located in Piedmont, South Carolina. K-Co Enterprises, Inc., based in Piedmont, South Carolina, was established to serve all phases of commercial concrete, foundation, and tower construction needs in most of the southeastern United States. The company’s expansive experience spans 30 years involvement with projects ranging from specialty subcontractor to complete site installation. The company specializes in custom and confined access foundation upgrades and modifications, including installation of helical anchors, micropiles, wall anchors, and foundation repair. Other services include installation of concrete collars, crack monitors, and epoxy coatings on existing caissons and piers. 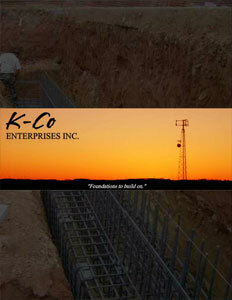 K-Co can provide all rebar and materials required in performing turnkey installations. K-Co’s range of foundation installation includes drilled caissons for towers, light poles, canopies, and other industrial applications. It can work in wet or dry soils and can provide de-watering services. Its inventory of equipment consists of dozers, excavators, loaders, and tools that enable the installation of large spread footers, block anchor footers, and monolithic slabs. In addition to its foundation services, the company also can also perform road upgrades, grading and clearing of guy paths, and total decommissioning of sites. The company’s construction knowledge allows it to install foundations, footers, compounds, and modifications per plans and specifications. It can also help in design and cost computations for project estimations. Its tower and antenna crews have a broad range of experience and are equipped with the best of tools and information to get the job done. K- Co can provide turnkey cell site installations, and all civil, electrical, and tower work is performed professionally and quickly. K-Co Enterprises is a fully-licensed and insured General Contractor in South Carolina, Virginia, Tennessee, Georgia, Mississippi, Alabama, and West Virginia. It holds a PU Communications license in NC, and is an approved vendor for several major tower companies. Check out this handpicked feature on Furman University Center for Sustainability.